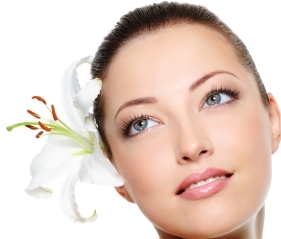 The process involves a series of treatments using a specific laser wavelength, i.e. 1064nm. This laser has a special affinity for the melanin pigment in the hair follicle. The laser energy is converted to heat, and this focused heat damages the hair follicle. The equipment used in Clinique Esthetique has some unique features which increases the safety and efficiency, while decreasing the discomfort. The robotic technology in this computer-guided scanner enables fast, ideal beam placement and perfect coverage resulting in improved efficacy and safer treatments. An area up to 30 mm by 30 mm can be rapidly treated in a single placement. Lower pulse energies are required and there is less heat build-up in the deeper layers than with the large-field beams that treat several hairs at a time. The smaller beam size also leads to higher available fluences and shorter pulse widths for treating a greater variety of hairs. Another advantage of the robotic technology is the ability to scan individual pulses over an area non-sequentially, allowing heat to dissipate before adjacent hairs are treated, resulting in greater safety and comfort. Instead of selectively cooling and protecting the surface, this computer guided scanner enables the use of continuous deep cooling for many seconds to remove heat from the follicles and surrounding tissue resulting in added patient comfort and safety. This same technology helps to remove heat continuously and non-selectively from bulk tissue for maximum comfort and allows higher more effective fluence to be used. Hair removal can also be accomplished with Broadband light technology as a stand alone treatment, or complimenting the 1064nm laser. Please see the section on Laser Hair Removal under FAQs for the rest of the details.